The opening of Busan Cinema Center symbolizes the turning of a new page in the history of the BIFF, and Busan Cinema Center will now serve as the launch pad for Busan’s ambitions to further establish BIFF as a world leading film festival, build a movie complex here and promote Busan as one of Asia’s most cine-friendly city. 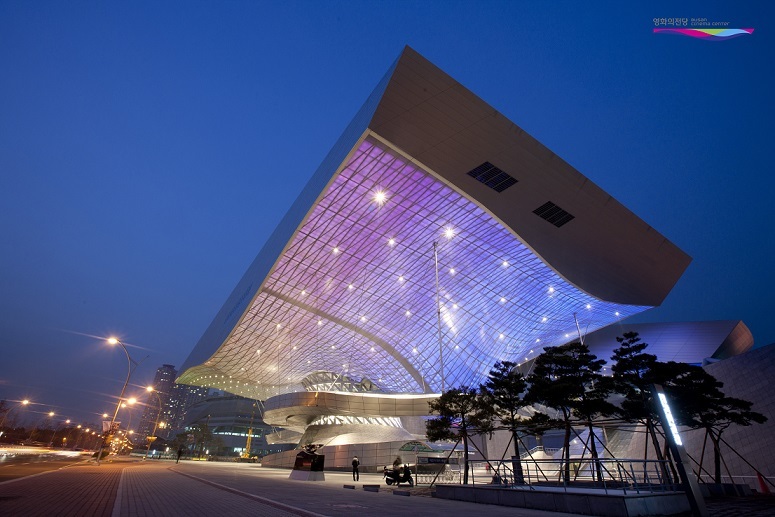 Busan Cinema Center is a cultural image complex theat emphasizes its quality as a performance venue. You can enjoy various genres of movies here, including arthouse, family-oriented and popular movies, as well as sophisticated and high quality performances. Busan Cinema Center will continue to serve as one of Korea’s most distinctive tourist attractions and a much loved home of culture and the arts.